Welcome to Deckstainhelp.com, your source for industry insights and tips for the perfect deck stain project execution. IPE Exotic Hardwood Stains continues to follow same wear patterns as years before. Leave us a comment if you’ve used IPE Exotic Hardwood Stains and the type of hardwood and brand of stain used. Exotic woods like IPE are extremely dense and hard to penetrate. Common deck stains should not be used on these types of dense hardwoods. Specially formulated exotic hardwood stains are designed to dive into the dense pores of these woods to give maximum protection against UV rays and water damage. Due to the hard nature of these woods stain will not last more than 1 year. In some cases, exotic hardwood surfaces can benefit from being cleaned and recoated every 6 months. This is just the nature of exotic hardwoods. The huge popularity of these types of woods is their beautiful nature and durability. Although fairly expensive compared to cedar or pressure treated pine, IPE, and other Brazilian hardwoods are gorgeous. When stained with IPE Exotic Hardwood Stains the wood grain is naturally highlighted and the wood’s beauty is enhanced. The wood grain and character of these woods can be stunning. The exceptional penetration that an IPE Exotic Hardwood Stain review showed was the key to a long lasting beautiful appearance. Water repellency and UV protection are a must to keep the exotic hardwood from graying and fading as well as warping or cracking. Welcome to Deckstainhelp.com, your source for industry insights and tips for the perfect deck stain project execution. Leave us a comment if you’ve used IPE Oil Hardwood Stains and the type of hardwood and brand of stain used. 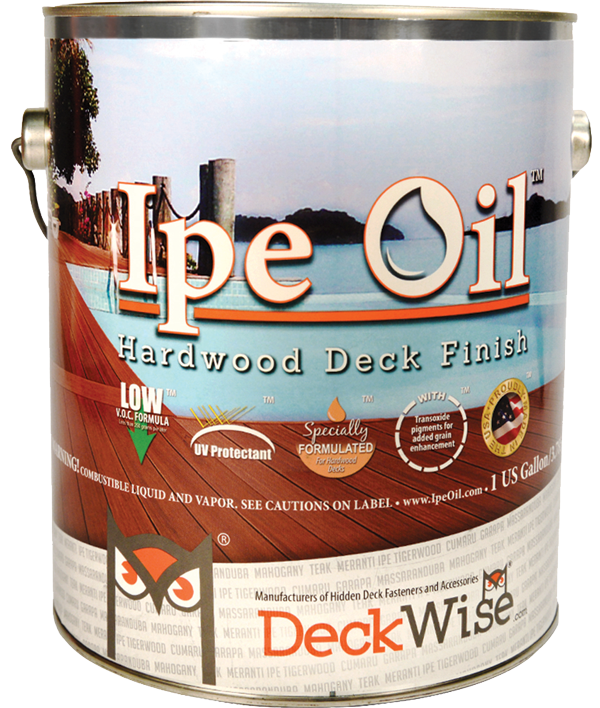 Ipe Oil™ Hardwood Deck Finish is the best solution for your hardwood deck. 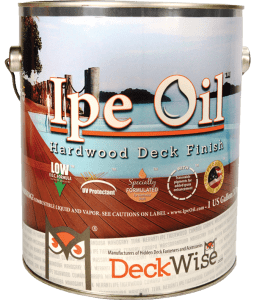 Ipe Oil™ Hardwood Deck Finish will penetrate the densest of exotic hardwoods, protecting and conditioning while at the same time maintaining a completely natural appearance. 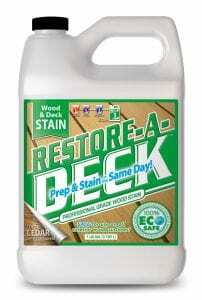 IPE Oil Stain provides excellent penetration into naturally dense woods to provide adequate water and UV protection. 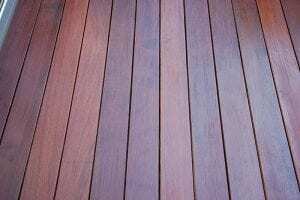 IPE Stain is recommended for woods such as Tigerwood, Cumaru, and IPE decking and wood siding surfaces. It aids in preserving the natural beauty of these exotic wood types. IPE Oil Hardwood is an oil based VOC compliant formula. Naturally dense hardwoods such as IPE are difficult to penetrate. The stain will always fade quicker on these wood types than other types of exterior woods like cedar and pressure treated pine. Therefore our typical 2-year test will be changed to 1-year. –IPE Oil is available only in a natural finish. This pigmented transparent finish helps enhance the natural wood grain beauty. The final finish of our test IPE surface after drying was a rich, warm brown tone with a slight reddish glow. It really was quite beautiful.